From Global Witness, a new report entitled Banks and Dirty Money: How the financial system enables state looting at a devastating human cost. It’s got plenty of detail, but one eye-catcher is their look at the largest penalties given for money-laundering or sanctions violations. In the U.K. the maximum slap on the wrist penalty is £8.75 million (about US$13.5 million). In the U.S. it’s $8.9 billion. That’s Billion with a ‘b’. 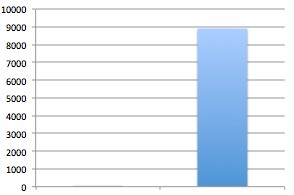 We’ve put this comparison into a handy graph, below. All this is part of a business model, aptly described last year by former U.S. regulator Bill Black in an article entitled UK Determined to Win the Race to the Bottom and Remain the Global Financial Cesspool. 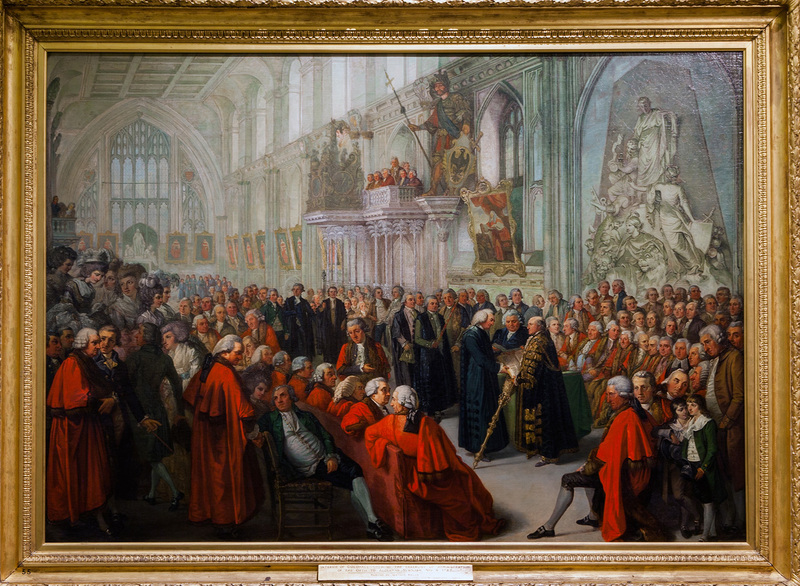 Britain, as he has often remarked, has won the regulatory competition in laxity. 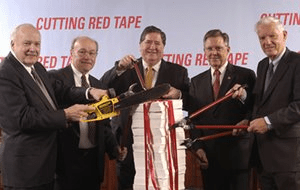 Cutting red tape is one of the weasel terms of deregulation. (Who could be in favour of “red tape”?) This ideological claptrap is reminiscent of the work of “Chainsaw Gilleran” at the Office of Thrift Supervision in the United States, who in 2003 took out a real chainsaw and brandished it against a pile of papers wrapped in red tape, just to drive the point home. The result of this and other deregulatory binge-fests was the worst financial crisis since the Great Depression. Unfortunately there are no real details in the current proposals (though see some details about existing rules here): just this broad declaration of intent. Those who know the ancient ways of the City of London all know what this means. And latest news from the Cayman Islands, where they appear to be rowing back on all their earlier promises to boost transparency, is just confirmation of what appears now to be happening. Memories of the last global financial crisis are fading, the new government doesn’t have to worry about elections for a long time, and let’s not worry too much about the looting of poor countries. Let the party continue! A last note – something that seems to be symptomatic of the wider sickness. Our attention has been drawn to a story by an anonymous writer which ran on Open Democracy in May, and doesn’t seem to have garnered huge attention. It’s about the UK’s Financial Ombudsman Service (FOS), which was originally set up to provide a speedy and cheap way to resolve disputes between financial companies and their UK customers without having to go to court. “We have a number of other watchdogs here in the UK apart from the FOS, which operate in exactly the same way. They come down very hard on minor offenders and shy away from pursuing the real criminal organisations that have huge bank accounts and the very best legal teams. They never articulate it as such, even in private. That’s why it’s so hard to uncover”. Curious. We haven’t investigated this last matter in any depth, but we will seek the time to do so. “The majority of those who work in the major global banks have become corrupted by their remuneration, and their immunity from accountability, and have become little more than unrepentant organised financial criminals. I am on record in many places saying that I do not believe that these institutions could return the level of revenues and achieve the targets they are set, without committing wholesale criminal offences, of theft, fraud, false accounting, forgery, insider dealing and wholesale market manipulation. I have been roundly condemned by the institutions themselves who dislike the fact that a former Fraud Squad detective like myself will so openly denounce them for being the criminal mafias that they are. Endnote 2: coming soon, a look at offshore London, the tax havens and the next financial crisis.